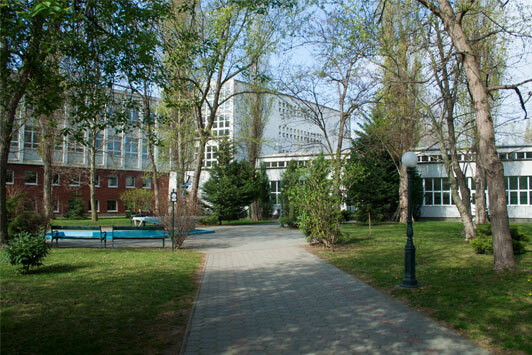 The Weiss Manfréd Vocational Secondary School (Formerly: Csepel-Sziget Vocational Secondary School) is located in the suburb of Budapest, near the former Csepel Metal Works. As our school is in the Southern part of Budapest our students come from the Southern districts of Budapest and neighbouring villages and towns. In the new education system, our school has an important role; to provide those skills and knowledge that have competitive value on the labour market for the future skilled workers. To fulfil the above mentioned aim, we have won European subsidies for organising international study trips for our students and the vocational experts of our school. In the field of cooperation, we take part in a great number of European Union projects such as: Leonardo da Vinci VETPRO and IVT projects, Comenius project. According to our opinion, these exchange programs are essential to gain up-to-date experiences to develop our teaching skills and provide international outlook. In future, we would like to provide the opportunity to take part in professional trainings in foreign countries for every student of ours.